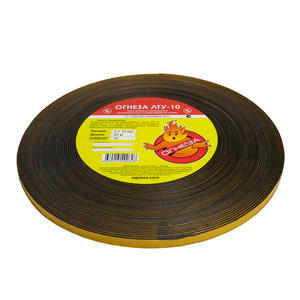 Ogneza - Thermo-sealing tape "OGNEZA LTU"
Thermo-sealing tape «OGNEZA LTU» it is an indispensable tool to protect against the spread of fire. Made of high quality materials based on graphite, which provides thermal expansion when heated. Tape is able to keep the fire and smoke up to 4 hours, self-adhesive, universal, used for sealing of fire doors, gates, barriers, flanges ducts and smoke valves. Thermo-sealing tape «OGNEZA LTU» is used to seal gaps and increasing the fire resistance of the fire doors, gates, hatches, suppressant valves, flanges ducts, fire-resistant safes, etc.. 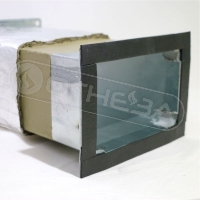 Suitable for all types of buildings and construction, which need to ensure a certain level of fire resistance in accordance with the regulatory documents. Quick start of operation of fire-retardant material — for 15 seconds at a temperature of 150 ° C, complete coverage gaps in the 4th minute. High degree of adhesion-adhesive to any material. high expansion rate (not less than 900%). Lifetime at least 25 years. 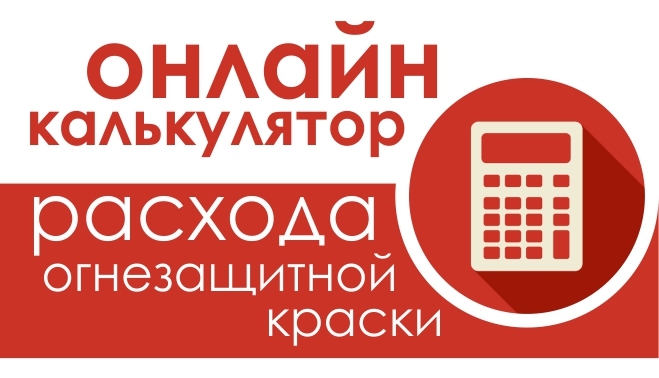 at a relative humidity of 100% and a temperature ranging from −40 ° C to + 60 ° C.
Thermo-sealing tape «OGNEZA LTU» is not a hazardous substance and can be transported by any transport. Stored and transported at a temperature from −50 ° C to + 60 ° C and a relative humidity of 100%. Guaranteed shelf life in original plastic packaging — 1 year. Surface must be degreased highly volatile solvents (acetone, xylene, toluene, chloroform, etc.). Cut a piece from the roll tape desired length. Remove the protective film of yellow color with self-adhesive side of the tape and press firmly to tape Stick the surface without touching the hands of the adhesive layer.